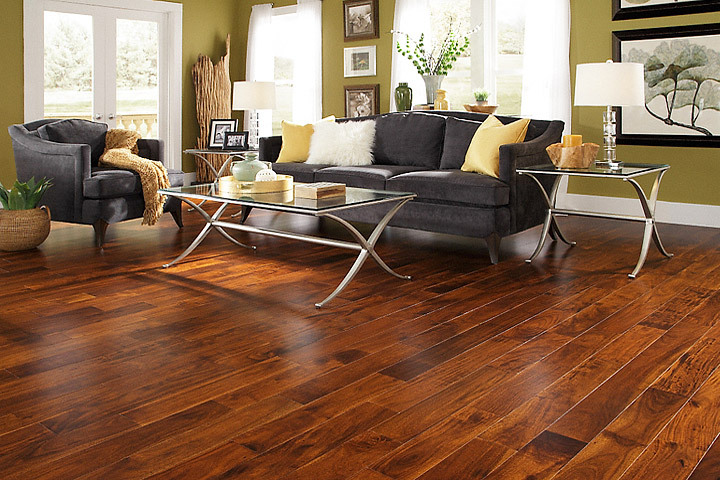 When buying new hardwood flooring, you will face a choice of engineered vs. solid wood flooring technology. 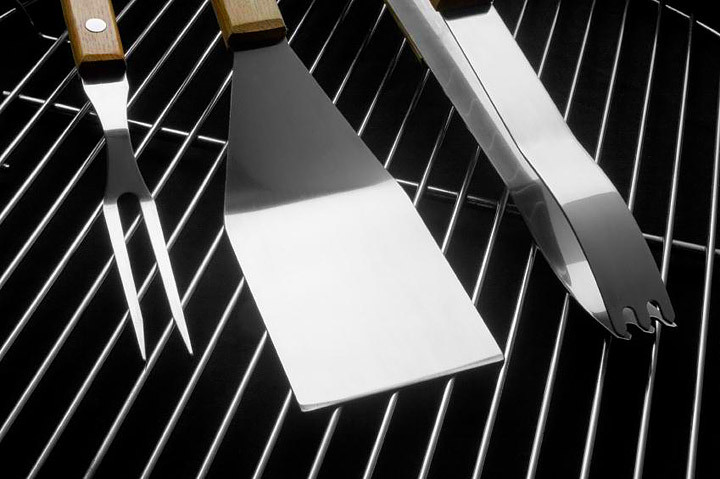 It is important to choose the right type as choosing the wrong type may lead to disappointment and further financial costs, in some rare cases. 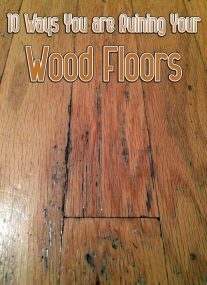 Lets examine pros and cons of engineered and solid wood flooring to see which one is more suitable for you. These floors have been first introduced in the commercial market as an alternative to solid, but soon found their way in to residential homes. 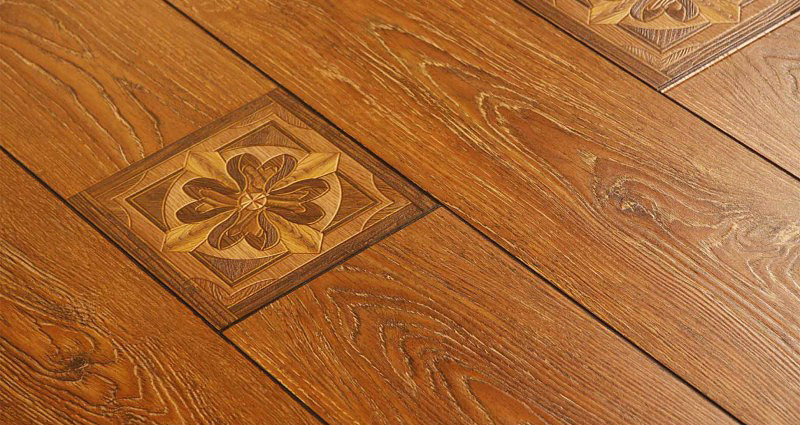 On the surface and when fitted, engineered wood flooring look precisely like any other type of wood flooring, however look under the hood and you will discover something else. Each floorboard is made from at least three layers of MDF, Plywood and Softwood that are glued together using industrial grade glues and placed under a layer of real wood, commonly Oak and Walnut. 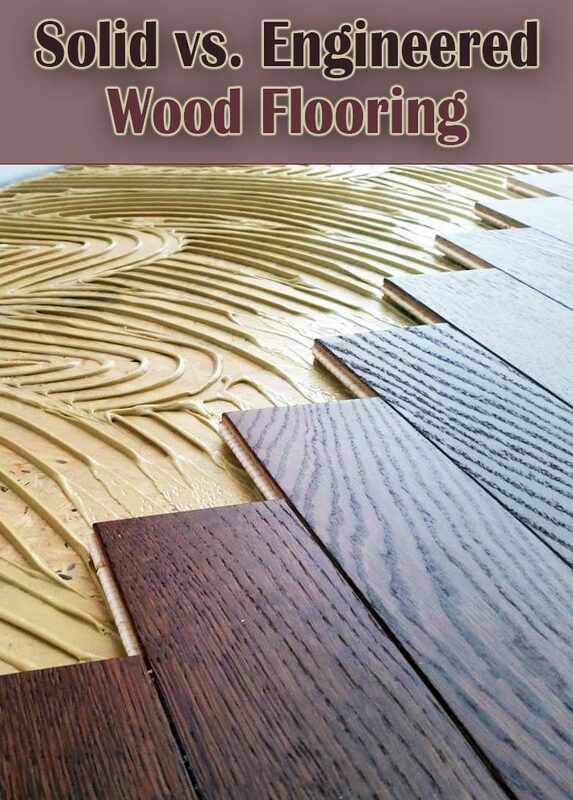 The outcome of the process is an extremely strong piece of flooring that looks precisely as you would expect wood flooring to look, but has a number of unique benefits. The floor is often more affordable and easier to fit. Furthermore, engineered is more suitable for areas or homes that are challenged by damp conditions. 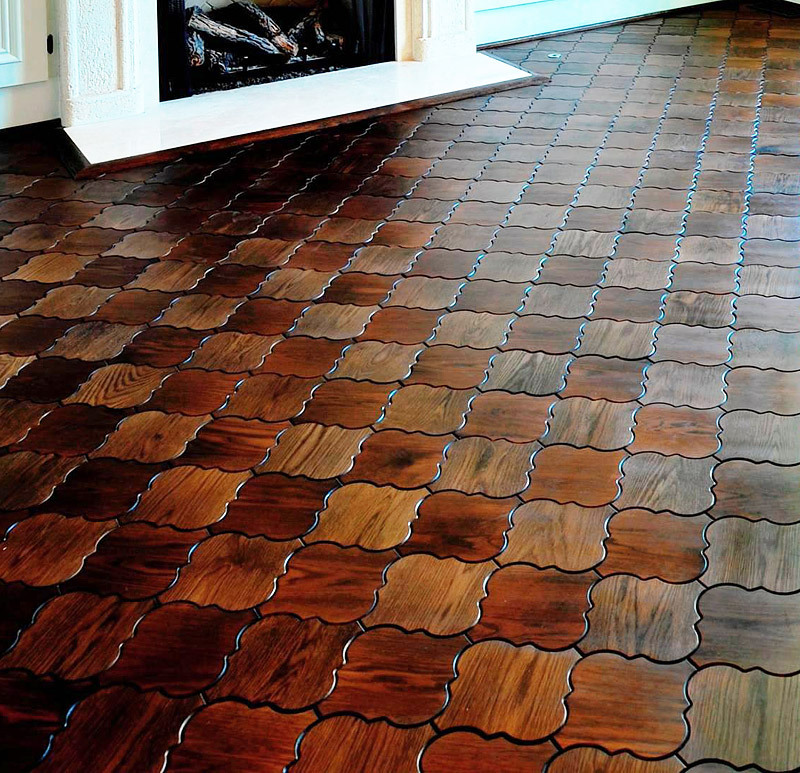 These are the traditional wood floors that people would normally expect to find. Often called real wood flooring, solid type offers immense durability and can often be seen in historical period homes dating back hundreds of years. Each piece of floorboard is made from complete wood such as Oak and Walnut. This construction leads to durability that can easily exceed 100 years of service life. Solid wood flooring can be sanded and recoated many times during the service life of the floor thereby causing the floor to look as if is was just fitted. Solid floors are stronger, and can help support the structure of the home, however due to their natural construction, floorboards are limited in size and the floor is normally more expensive compared to the alternative. Engineered flooring is not as strong, but strong enough, and often better suited for damp conditions and for homes/rooms with frequent temperature changes as solid wood may expand in hot conditions and contract in cold conditions. 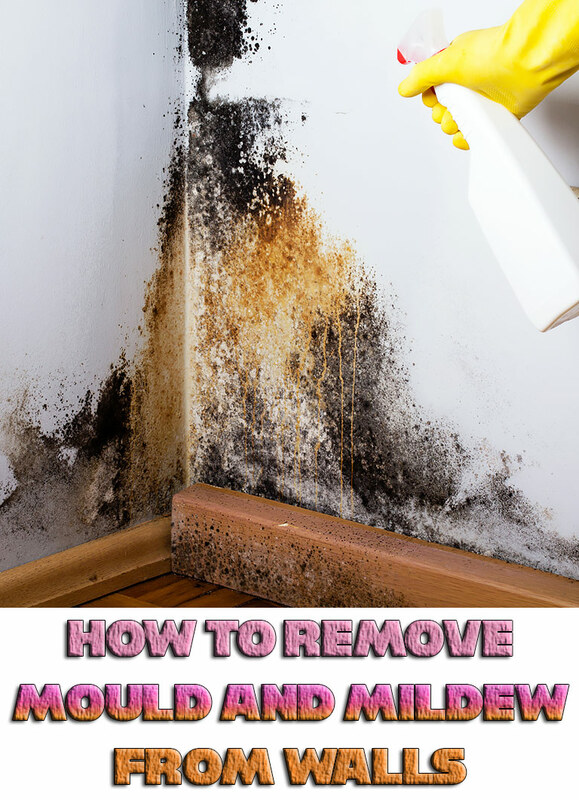 Their better affordability and ease of installation more than makes up for shorter service life. 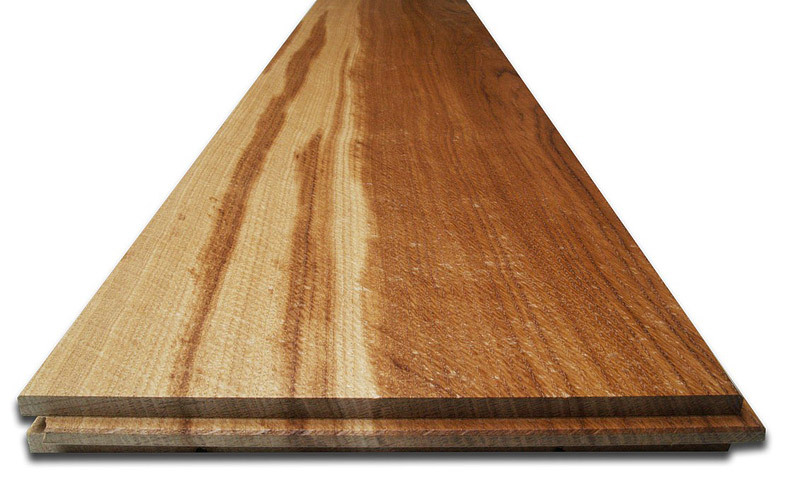 For most homes, either solid or engineered wood flooring will suit well. Decision is normally based on your available budget, unless one of the two types is unsuitable for your situation due to its unique features. Another thing to note about the two types of flooring is that solid hardwoods can be refinished more times than engineered hardwoods. So even though you’re paying more for the solid wood flooring, it can take a lot more foot traffic and damage because it can be sanded down more.